At approximately 5:00 a.m. on Feb. 8, 2008, Morgan broke into the Santa Ana home of 8-year-old Jane Doe. The defendant walked into Jane Doe’s bedroom while she was sleeping, pushed the victim’s face down after she woke up, and covered Jane Doe’s mouth to prevent her from making any noise while he sexually assaulted her. Morgan then fled the residence through a sliding glass door from the victim’s bedroom after Jane Doe was able to scream for help. Jane Doe’s family members contacted the Santa Ana Police Department (SAPD) that night and SAPD began investigating this case. In February 2015, SAPD’s Family Crimes Unit conducted a further DNA analysis of evidence recovered from the 2008 crime scene, and linked Morgan to the crime. On March 26, 2015, the defendant was arrested by the United States Marshals Service in Texarkana, Texas. 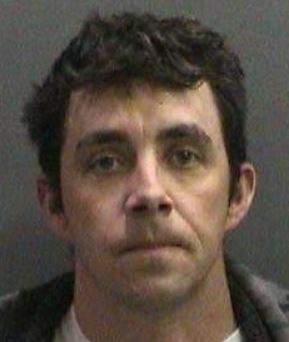 On March 31, 2015, Morgan was extradited back to Orange County. Prosecutor: Deputy District Attorney Courtney Thom, Sexual Assault Unit.